Much has been said lately about how vile our Presidential Candidates are this year. While I do agree that our candidates this year are pretty vile, I would like to remind you that our Presidents aren’t exactly Boy Scouts. 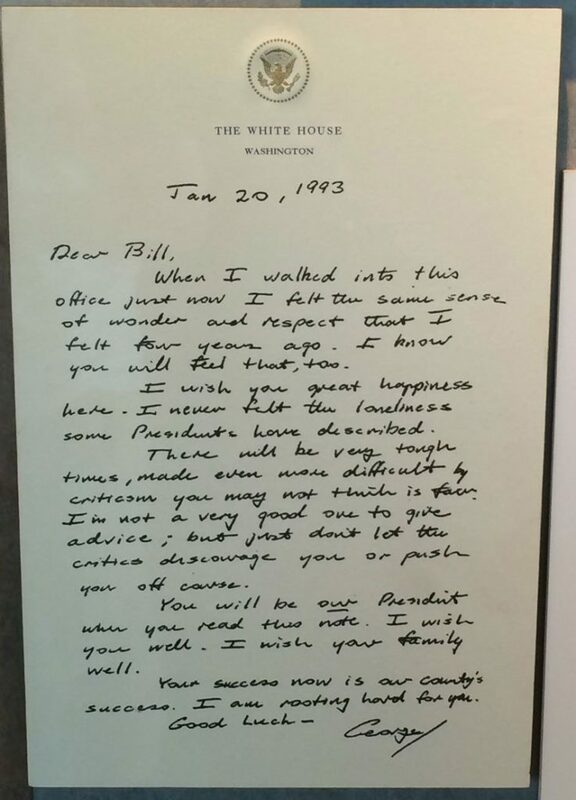 Although this note from President George H.W. Bush was extremely thoughtful and caring, this act is one of the exceptions to the American Presidents as Bad Hombres rule. Here’s a list of US Presidents for the last 100 years and at least one bad thing they’ve done. I admit, most of these acts are foreign military escapades that could have been argued were done as preemptive strikes to keep ourselves or our allies safe, but they still didn’t end well. Franklin Delano Roosevelt: Ordering the internment of over 100,000 Japanese-Americans during World War II.